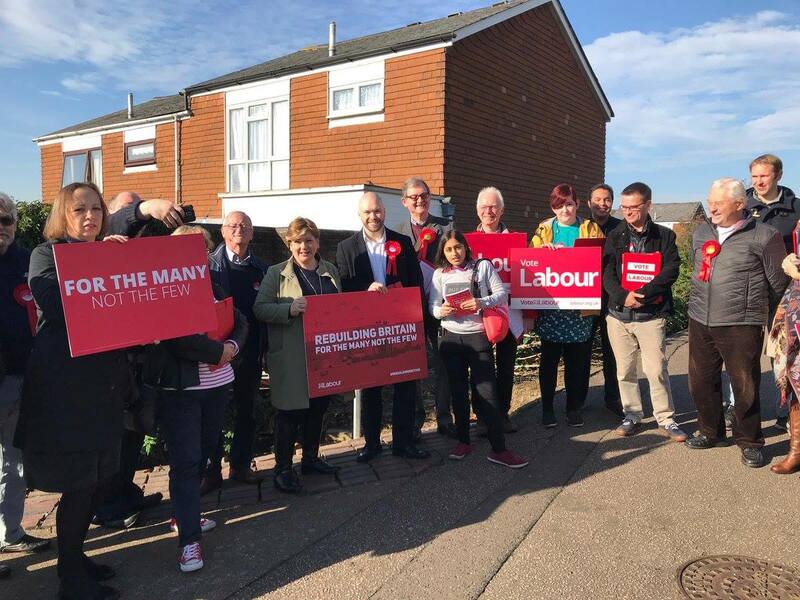 Crawley Labour activists were joined by leading Shadow Cabinet Member Emily Thornberry as they launched a campaign to get more police back on Crawley’s streets. Following the rise of violence on Crawley’s streets over recent months, Crawley Labour has launched a petition to ensure the voice of local residents is clearly heard by Sussex’s Police and Crime Commissioner, who is responsible for setting the budget for the town’s police. Since 2010, the number of police officers in the local area has declined by over 700 and Crawley has lost its designated neighbourhood PCSOs, while residents across the town have complained about decreasing police responsiveness, drug selling moving out into residential areas and increasing knife-crime. The petition calls upon the Police and Crime Commissioner to ensure Crawley that is allocated the officers it needs to restore a meaningful response for those who contact the police, and to end the wave of drugs and violence which has recently plagued the town.